Thematic reinforcements add interesting layers of complexity to this tale of wilderness survival. 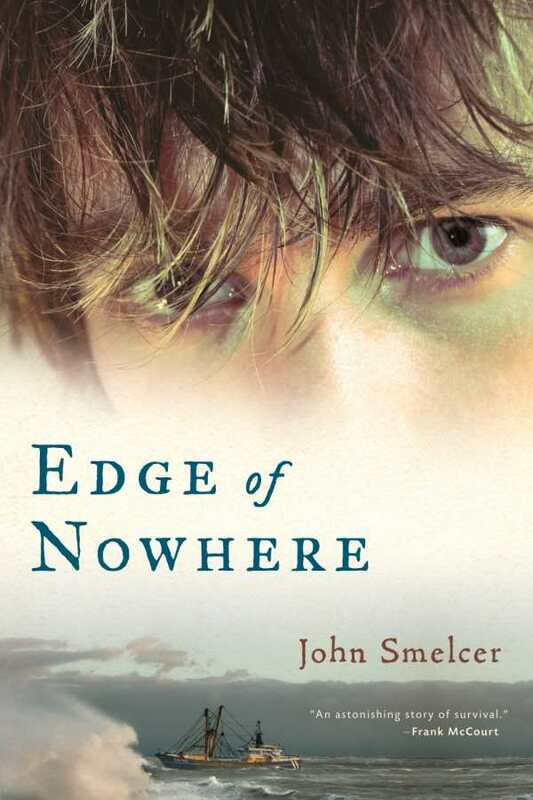 With metaphoric elements and emotional catharses, the newest novella from John Smelcer, Edge of Nowhere, overcomes some pacing issues to deliver a unique survival story set in Prince William Sound in the Gulf of Alaska. Tossed off his father’s fishing boat during a storm, sixteen-year-old Seth and his dog, Tucker, find themselves stranded. As they make their way from island to island, foraging for food and water, the beauty and isolation of nature forces Seth to come to terms with the death of his mother, the strained relationship with his father, and the person he has become as the result of his grief. Meanwhile, Seth’s father tries to hold on to hope that he will find his son alive. Each chapter begins with a snippet from a myth about a hunter who, after decimating the local squirrel population for fun, must face the reality of what he has done, physically and mentally. After his ordeal, an experience that almost kills him, he becomes a great shaman “who understood the connection of all living things.” These myth segments reflect Seth’s journey. His disconnect from the natural world, his blossoming appreciation of nature, and his fear of the wild are mirrored in the story of the hunter. Smelcer also explores how the solitude and majesty of nature affect Seth emotionally. It is his extreme isolation that allows him the space to really grieve for his mother. As he treks across the waters and islands of Alaska, he searches for his way home but also remembers the person he was and wants to be. Smelcer’s development of the themes and his depictions of nature occasionally override the survival aspects of the story. The tendency for Seth to observe or reflect can occasionally slow the pace and undermine the tension that is so often found in survival stories. Circumstances appear to be dangerous, but fear or anxiety isn’t developed. This is slightly exacerbated by the brevity of the book. Seth is lost for about four months, but it doesn’t really feel like that much time has passed from beginning to end of the novella. By the end of the book, any wavers in plot and pacing are easily forgiven when the characters Smelcer skillfully brings to life, who have gone through emotional and physical transformations, find happiness when they are reunited. Edge of Nowhere is a survival story, but one with a strong heart.